Vietnamese Lunar New Year is approaching with hopes and challenges waiting ahead for all MeU Solutions employees. 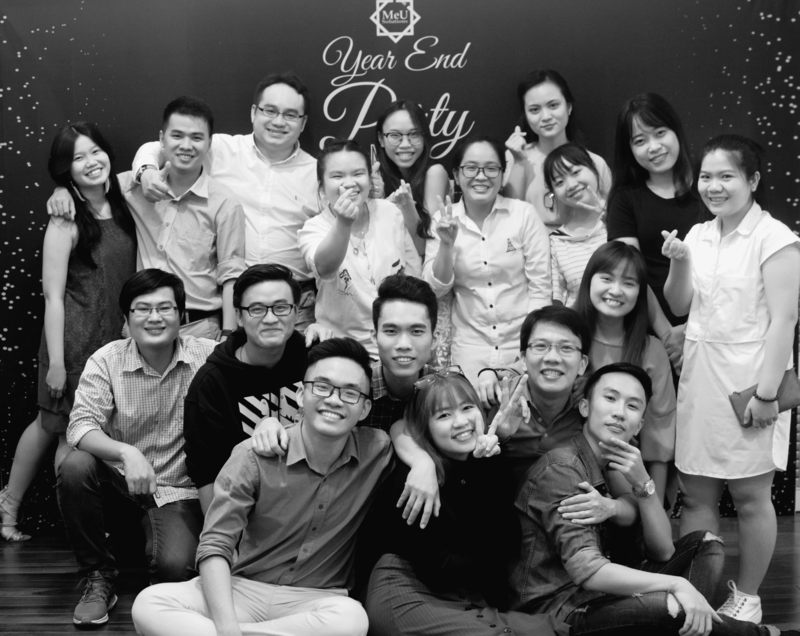 In the last days of the Year, they had great moments to sit together in the Year-End Party which is organized at Park Royal and to share delightful stories written during the Year. Our board of management acknowledged the year-end party was the perfect opportunity for a get-together, also to show deep appreciations from the board towards employees who had worked their best to provide the company with key values as well as all partners who have been helping MeU Solutions to make its success. On this occasion, our CEO – Mr. Nhat Do – conveyed his message which is the party’s topic “Light Tomorrow with Today”. This is as a key driver for the company in next years. In his belief, each individual employee is as a light that brightens the company future. The end of year party was heated to its highest spirit when everyone sang and danced along with the music band prepared by the management team. Everyone got drunk in their joy and happiness. They wished the party could last till forever like the success stories at MeU Solutions.